A recently published research report on the state of the South African schooling system over the 1994-2011 period has received widespread media attention over the last month. 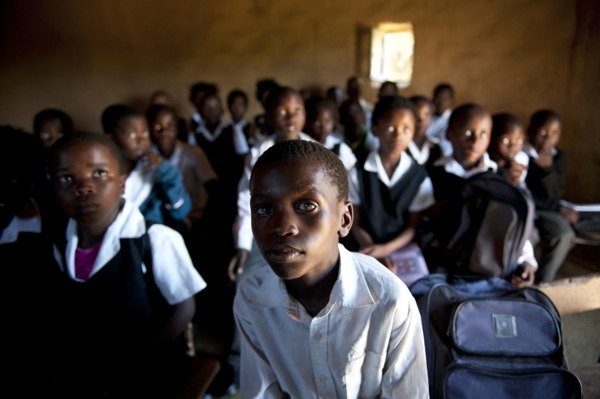 The 65-page report titled “South Africa’s Education Crisis: The Quality of Education in South Africa 1994-2011” by RESEP researcher Nic Spaull was commissioned by the Centre for Development and Enterprise (CDE). One newspaper highlighted the low levels of teacher content knowledge discussed in the report (City Press: “Grade 6 pupils beat teachers at maths“). The Mail & Guardian focussed on the learning deficits that children acquire which prevent further learning at school: “For pupils who fail to grasp basic maths and reading skills in their early years, learning deficits accumulate over time until they eventually become ‘insurmountable.’ Similarly, The Times identified the high levels of grade repetition and automatic progression that plague the South African system: “Just because a child proceeds to a higher grade does not necessarily mean that he is learning. In the absence of proper standardised exams, the links between progression and real learning are very weak. This is the case in South Africa.” Nic also discussed the report on PowerFM, CapeTalk and CNBC Africa. The report included sections on the inequality of learning outcomes in South Africa, as well as learning deficits, teacher content knowledge, matric outcomes, and transitions from school to work. The report concludes with a set of policy recommendations including 1) making the Annual National Assessments reliable, 2) implementing a nation-wide system of minimum-proficiency diagnostic teacher testing and capacitation, 3) increasing accountability at all levels of the system, 4) increasing the technical capacity and implementation ability of the Department of Basic Education, and 5) set realistic goals that focus on the universal acquisition of basic skills. Nic’s research can be found here and the full report can be downloaded here. I love your approach and easy writing style- your direct and fearless ‘say it like it is’ manner is refreshing, and a voice that needs to be heard. Thank you for getting the plight of the education system in this country into the mainstream press-I very much look forward to your articles, and appreciate your commitment. Thanks Kathryn, and do keep up all the great work you are doing at SHINE!